From Regina to Swift Current, you’ve got people to move and jobs to complete. That’s why Knight Nissan is your best bet for a truck or SUV that fits you best. Whether it’s carting the family around or getting your next job done, the reliable, affordable and powerful trucks and SUVs in Nissan’s lineup are your best bet for satisfaction and completion. Need to get some work done? Can’t afford to cut corners or work with something unreliable? 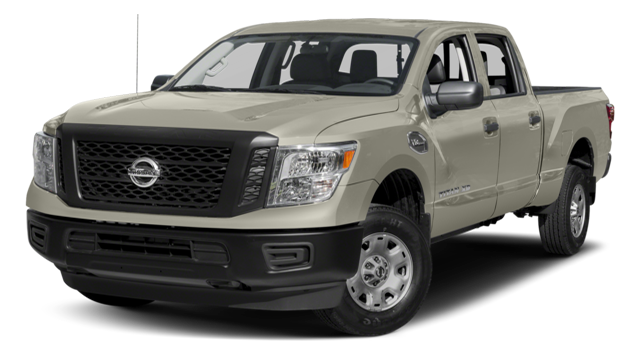 You might want to take a look at the 2017 Nissan Titan. With a powerful 390 hp, 5.6L DOHC 32-valve V8, there’s no doubt this truck’s got all the power you need. And with All Terrain tire, Four-wheel Drive, LED bed lights and Spray-on Bedliner, there’s nothing this thing can’t handle. Add to that the heated and cooled front seats and heated steering wheel, water resistant seats, traction control system and rearview monitor, and you’ll be sitting pretty while you get your work done. To take it to the next level, step up to the 2016 Nissan Titan XD. As a diesel powered crew cab pickup, it offers the ability to tow more that 5,000 kilograms. Powered by a Cummins 5L DOHC 32-valve V8 Turbo Diesel engine, this heavy duty, yet attractive truck will always get the job done. You’ll also get a gooseneck hitch, remote trailer light check, tow-haul mode, trailer sway control and trailer brake controller. Not only is this thing capable, but it’s got brains as well, with available built in navigation, AroundView Monitor and Remote Engine Start System as well. If you need an all-around vehicle, something trustworthy, spacious and reliable, look no further than the 2017 Nissan Pathfinder. Starting at just $32,498, the Pathfinder delivers 11.6L/ 100km and 8.5 L/100 km (city/highway) room for seven passengers, and an impressive 284 hp, 3.5L V6 engine. With the available All-Mode Dial 4X4-I all-wheel drive system and daytime running LED lights, you’re in for quite a ride. 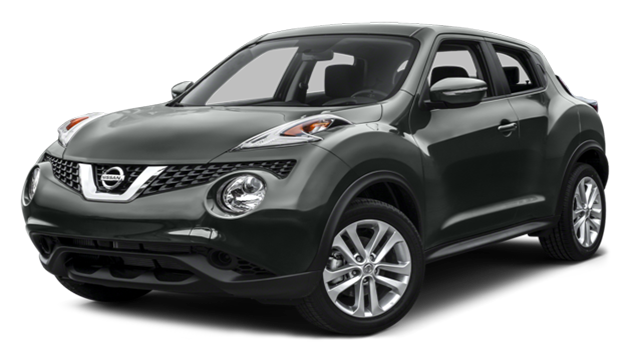 You won’t find a better combination of price, appearance, capability and sportiness than the 2016 Nissan Juke. Starting at only $20,698, you’ll get an impressive fuel efficiency of 8.5L /100km and 6.9L/100km (city/highway), space for fivepassengers and a 188 hp, 1.6L Direct Injection Engine. Along with that, you’ll find great tech features like NissanConnect with Navigation and Mobile Aps, AroundView Monitor with Moving Object Detection, and Rockford Fosgate ecoPunch Audio System. There’s room for everything with the 2,455 liters of passenger room and the 60/40 split fold – flat rear row seats. 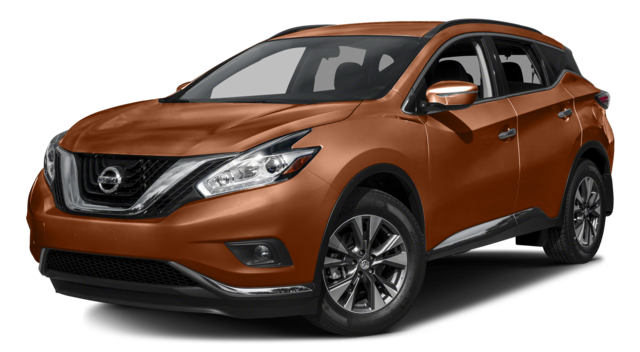 For the next step in crossovers, you’ll want to get into the 2016 Nissan Murano. It’s an incredible crossover, having received various industry awards, the best safety features, and other high-end options that make it great. Starting at only $29,998, you’ll be driving behind a powerful 260 hp 3.5L DOHC 24-valve V6 Engine, delivering 240 lb-ft of torque, and the ability to tow up to 680 kilograms. Pair that with the next generation Xtronic CVT, and a mileage rating of up to 11.0L/100 km in the city and 8.2L/100km on the highway, and you’ll find this vehicle hard to beat. When only the best wlll do, you’re in the right place when looking for a Nissan at Knight Nissan. And the best of our SUVs and trucks is the 2017 Nissan Armada. From Regina to Swift Current, no vehicle will deliver like this one. With room for 8 people, top-of-the-line comfort and tech options, and an upgraded engine, look no further. The ride will be quiet with the included acoustic glass with enhanced sound absorption. 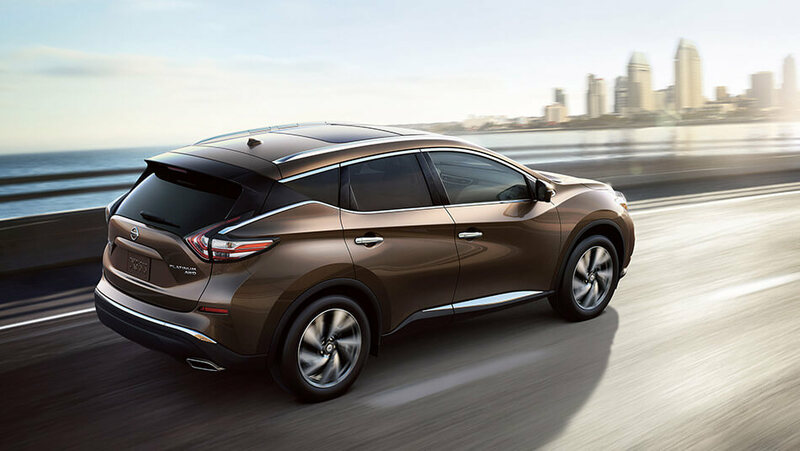 Sitting on 20-inch wheels, you’ll always be seen with the LED taillights and chromed Nissan V-Motion grille. And it’s all powered by the 5.6L V8 engine, deliver 390 hp with 401 lb-ft of torque. It can also tow up to 8,500 lbs. With room for 8, 60/40 split rear seats, an 8-inch touchscreen navigation system, 13 speakers, two subwoofer audio system and heated front seats. 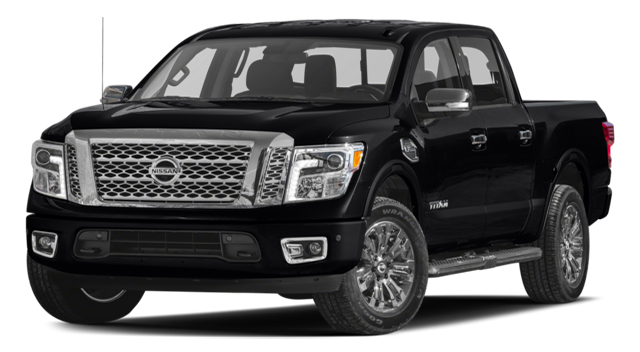 You’ll have a hard time finding a better all-around SUV than the 2017 Nissan Armada. Stop in for a test drive, or ask us all the questions you have. Stop by our shop at 1420 South Service Road East in Swift Current, SK. Our dedicated sales staff and top-trained technicians are here to make your auto shopping experience better than you’d ever thought it could be.